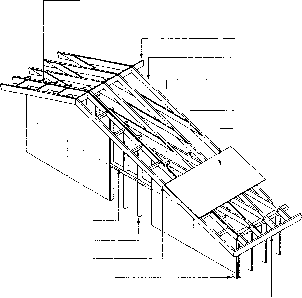 The sill plate should be leveled carefully. If the top of the foundation is level, the sill plate may be laid directly on the foundation and the junction caulked. Alternatively, the sill plate may be placed on a closed-cell foam gasket or other air-impermeable material of the same width as the sill plate. If the top of the foundation is uneven or not level, the sill plate may be laid in a full bed of mortar. All sill plates must be anchored to the foundation wall withj/2 in. (12.7 mm) minimum diameter bolts or other approved anchors.